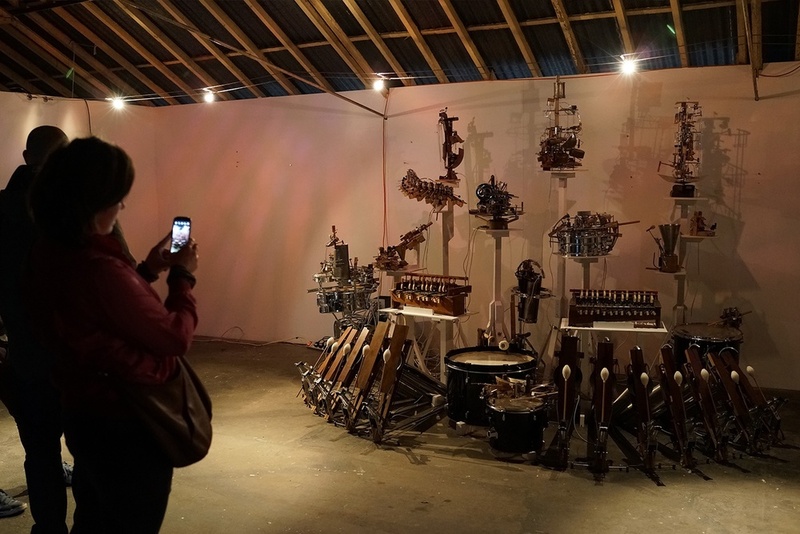 Felix’s Machines is an orchestra of musical instruments made from a combination of pianos, motors, LEDs and scrap metal, all controlled by software. Felix Thorn composes music for his machines and then performs to audiences. We were approached by Microsoft to develop an installation using the Kinect for Digital Shoreditch. Wanting to branch away from the standard experience of using Kinect to control digital content, we asked Felix if he would let us turn his machines into an interactive installation controlled by Kinect. We developed a Kinect software app that tracked an audience members and detected which instrument they were pointing at. Each of the instruments had pre-made loops that triggered once pointed at. The audience became the performer magically playing the orchestra.